You may not know it, but green is the color of hope, well-being and renewal. 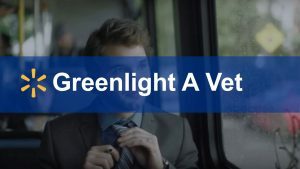 This Veterans Day, the GreenLight a Vet movement is growing and helping others display their support for the brave men and women who have served this country. It’s easy! Just switch out an outside light with a green bulb, tag yourself on the map and share with your friends. This simple gesture goes a long way to display your appreciation to U.S. vets. Happy Veterans Day!